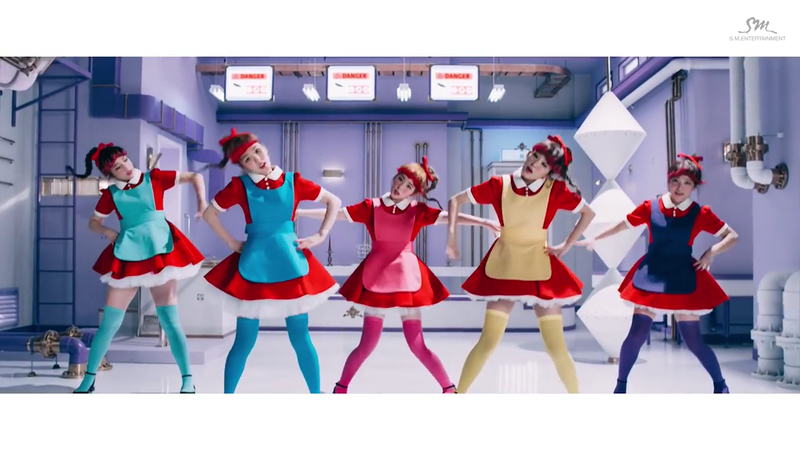 Red Velvet have come back with a cute, quirky and pretty stylish look and mv. This is more reminiscent of Happiness, in my opinion and I have to say, I pretty much love it! This is pretty much the story. 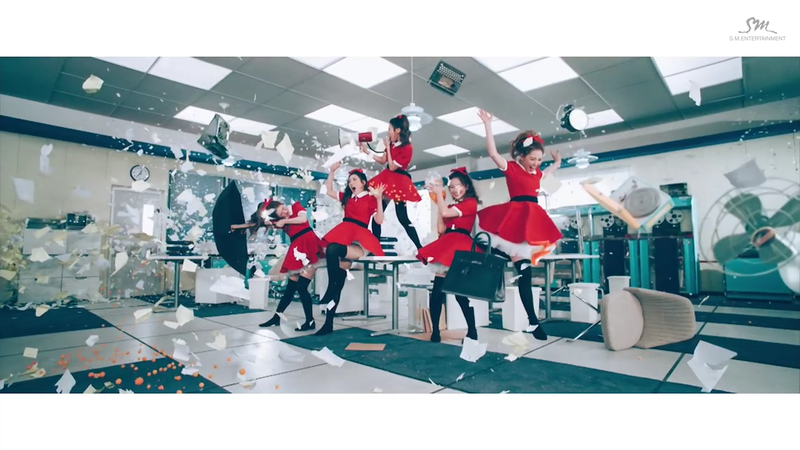 The beautiful Red Velvet girls have several scenes where they are mannequins, being distracted during work and acting strange (yet quirky and cute). “Dumb Dumb” has a great quirky, artistic feel to it. There are a lot of effects, my favourite being when there are lots of the same member in the shot. I thought that was well done and added a great fun element to the video. I will say that some of the shots were a little overdone, such as fanning out the image of the member behind them. This video was bright, comedic, yet had a nice stylish edge. This dance was quite casual and the part with the sticks was quite a nice touch. I also especially enjoyed when the fanning out effect was used while there was a dancing section. 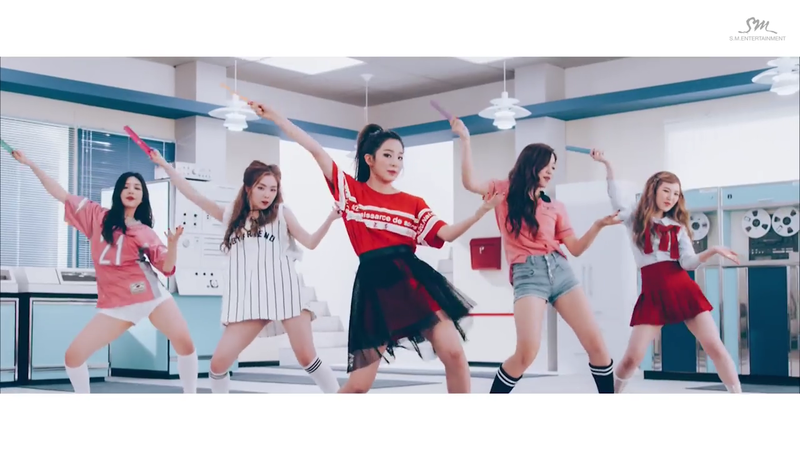 The “mannequin” dance was also very cute and quirky. The dance wasn’t the main focus of the mv, but it had a nice casual style to it and I’m certainly looking forward to seeing the live performance. The vocals were great. For Ice Cream Cake, I liked the vocals, but I didn’t feel that the vocal styles went well with each other. However, this song was so good! The rapping elements were probably my favourite parts, as well as the whole chorus! The chorus, the vocals and the beat was genius and easily made me move and dance! The ‘dumb dumb dumb’ undertone parts were also sounded very good and if the whole album has this kind of great sound I am going to be very happy!